CHESTER, PA - A dog at the Providence Animal Center is fighting for his life after being found on the side of East 11th Street in Chester. 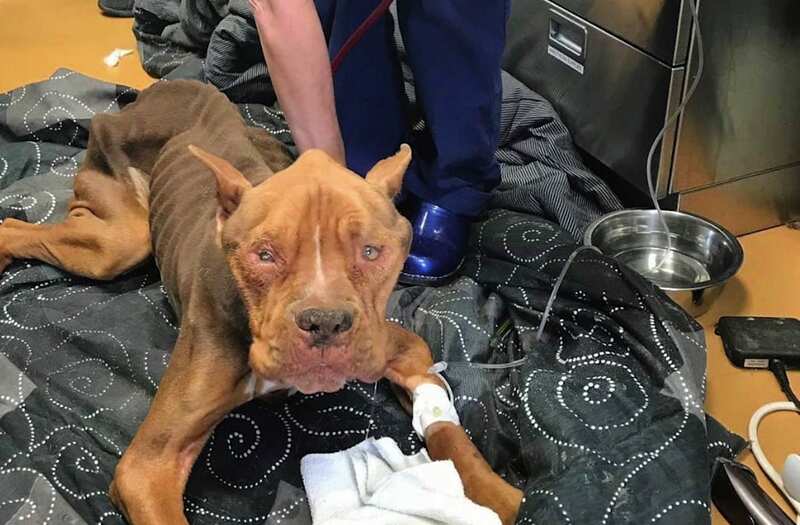 On Tuesday, officials say the severely emaciated dog was found near Deshong Park, wrapped in a blanket, placed among the broken glass and trash, and left to die. They named him Sly after Slyvester Stallone’s famous boxing character “Rocky,” because the veterinarians helping him say he’s a fighter. “It was determined that he had an intestinal blockage. He had a rope toy, or what looked like a tiny mop inside of him. So we performed emergency surgery to remove that blockage, and Sly is in our care, recovering right now,” explained Calgiano. Officials working on the case say when he was found, he had an abdominal shave, as well as a shave on his arm where a catheter might go, which indicates he may have received prior vet care. Officials with Providence Animal Center say right now their investigators are looking into where he may have been treated or if anyone recognizes him. Updates on Sly’s condition are being posted on the Animal Center’s Facebook Page.